If you are trying to decide what turkey to buy this year, here is my tip. 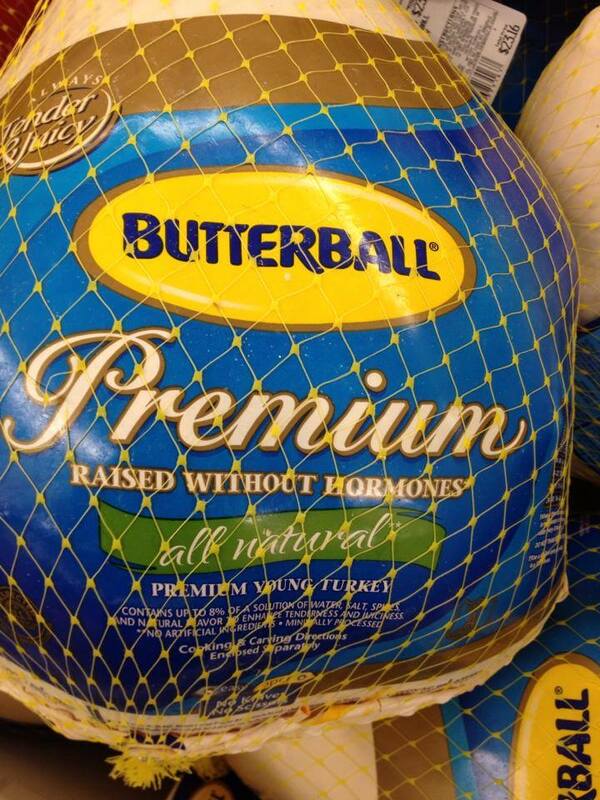 Don’t pay extra for a turkey that has the label, “raised without hormones.” Why do I say that? Because ALL turkeys are raised without added hormones. Butterball has succumbed to the latest marketing campaign that has created food fear in consumers. Don’t worry, there are absolutely NO ADDED HORMONES in turkeys or chicken or pork! Thank you for pointing this out. You just never know who to trust… and labels apparently aren’t where to find the truth. Much appreciated! Happy Thanksgiving to you and yours! Yes, labels are misleading. Technically what they put on the label is correct, but it gives off the wrong impression on other meat that doesn’t have the labels. Happy Thanksgiving Lisa! I can hardly wait for turkey! Just stopping by from the GRAND Social, hope you get a chance to do the same. Have a wonderful Thanksgiving! Yes, I am thawing out my turkey as I am writing this! It is getting closer!